As we start our annual intense month-long selection process to find the next USAP cohort, we are asked the same questions – How do I get in? But really, do I have a chance? Applications have poured into our office from all over Zimbabwe, from rural and urban schools, from those at government schools and those fortunate enough to be on bursaries at mission or private schools. 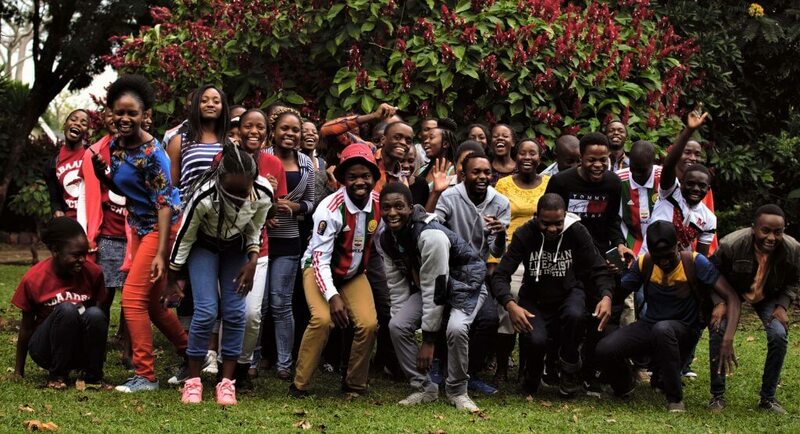 They come from students who by now know of USAP from its 15 year history of making dreams come true, students who have been encouraged by headmasters, teachers and older siblings to apply. Others have read about USAP in a local newspaper or even heard about it on Studio 7 – Voice of America radio. Still others have been mentored by current USAP students to follow their paths and apply. Applications come handwritten and typed, some basic, others attaching multiple extra certificates, photographs, pieces of artwork, even DVD’s in the hopes of bolstering their chances of getting into the program. This year we have received a record number of USAP applications – over 1200 from the ten provinces of Zimbabwe. The search begins among the piles of applications for the 40 talented young men and women we will call with the simple message “You are in!” that will change their lives. So is there a formula for success in admissions? We think so. It’s what USAPer Rutendo Madziwo of Smith last year during USAP Selection Committee coined “The Spark.” Admissions officers, like we at Education Matters, are looking through the reams of applications for a spark – a spark of passion, a tenacity and fierce determination that has gotten a student over the hurdles and through the rough patches to shine and to dream. A spark that may not be completely defined or directed yet, but will burn brightly despite it all, will shine to bring a vision alive. The Spark is difficult to describe, hard to put one’s finger on, but you know when you see it – it is contagious, refuses to be extinguished. You are caught up in the passion, the vision, the global dreams and you just are sold. You have confidence that if this spark meets opportunity, the student will succeed. As our USAP Selection Committee, in large part comprised of current USAP students waiting for admissions decisions, reads through the 1200+ applications, we will take grades into account. We will read about the myriad of leadership positions and mountains of clubs and sports and societies that students have been involved with. We will take in the letters of endorsement from teachers and pastors and community leaders. We will carefully read through the essays.